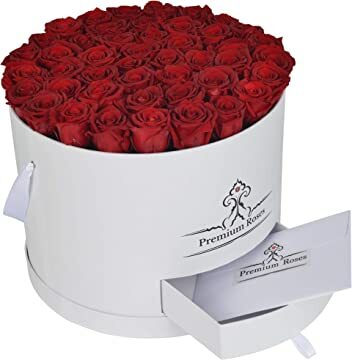 Freshness preserved: Fresh cut roses are persevered using our propriety scientific method, looking in natural moisture and freshness in each flower for 365 days. Elegant display box: Our luxurious flower come with Greeting Cards, Note Cards, free gift wrapping and an instruction card. Ships from and sold by Mahd Enterprises.